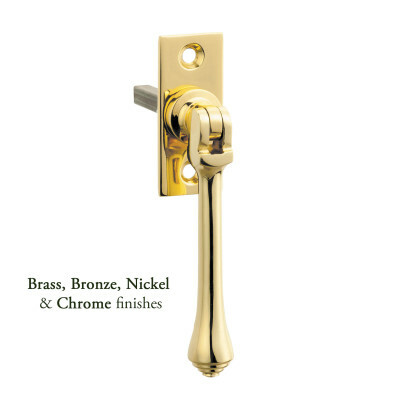 This Bronze or Pewter Curved Lockable Fastener is available in 3 finishes. LEFT Hand shown here in Marbled Bronze. 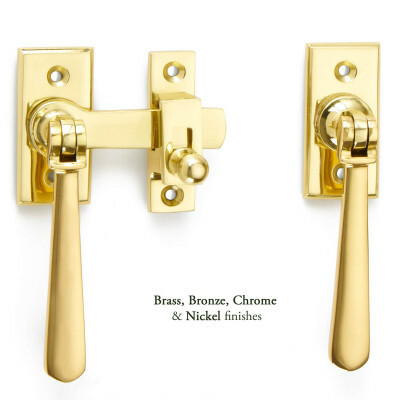 This Bronze or Pewter Curved Lockable Window Fastener has a lovely sleek design and look equally as good in both country house style or contemporary homes alike. Created in solid Bronze and then hand finished in a choice of Light Bronze, Marbled Bronze or Satin Pewter. These fasteners provide added security as they can be locked in to place by means of a small grub screw set in to the handle. 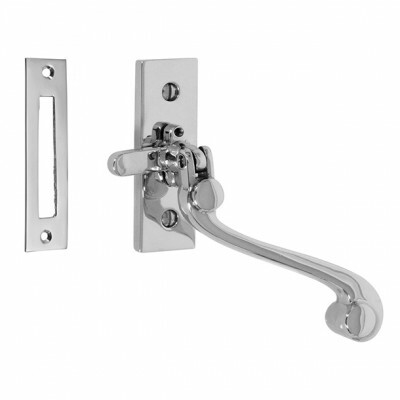 This means that these fasteners are handed you need to choose between LEFT and RIGHT handed fasteners dependent upon which side of your window they need to be fixed. The photograph has been taken showing which direction the fasteners points please look at these carefully before ordering. 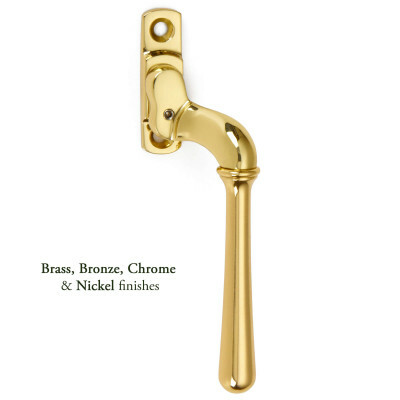 This Bronze or Pewter Curved Lockable Fastener is part of a larger range and there is a matching casement stay and a choice of door knockers, letter plates, door and cabinet furniture in these finishes so that you can create a complete look around your home. Please see images below for finish descriptions. 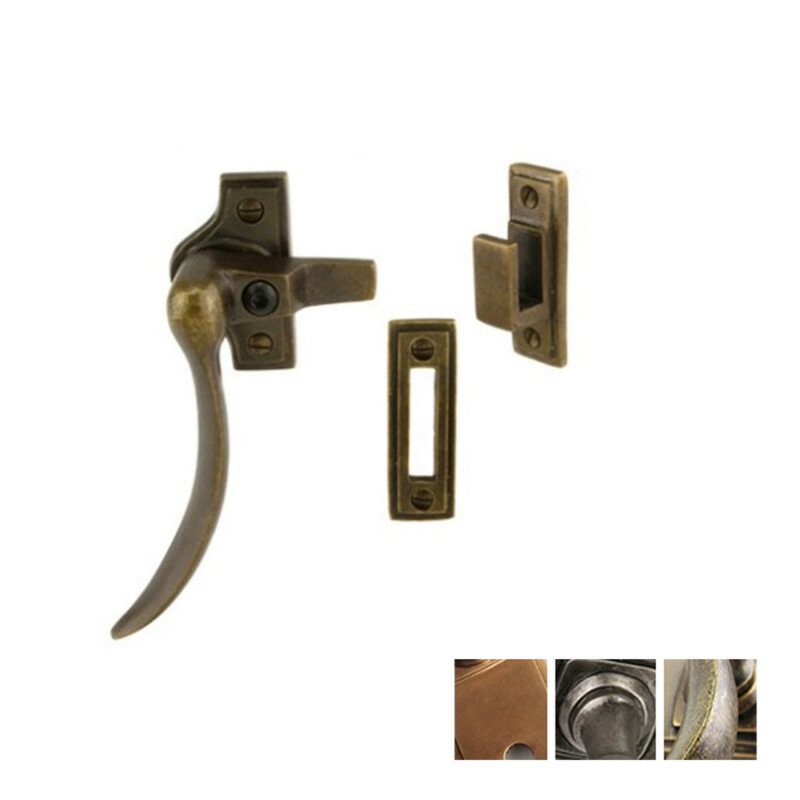 Supplied with matching fixings and key. The screws supplied are hand finished, so please take care when fixing. Always use a pilot drill.